Former VA Secretary Dr. David Shulkin will assume the role of Sanford Health's chief innovation officer which involves the Sioux Falls, South Dakota-based health system's research efforts. "His unique perspective, clinical expertise and powerful voice will further Sanford Health's continued development and diversification, which is so critical to our ability to bring new treatments and cures to the patients we serve," Kelby Krabbenhoft, president and CEO of Sanford Health said in a statement. Sanford Health currently has 44 hospitals, nearly 1,400 physicians and 28,000 employees. But it's merging with Good Samaritan Society in an effort to better handle post acute care. Good Samaritan has 200-plus post-acute, skilled-nursing, hospice, assisted-living, rehabilitation and home-health facilities and 19,000 employees in 24 states. Sanford also is growing its international footprint by expanding into five new countries—Costa Rica, Ireland, New Zealand, South Africa and Vietnam, making it a presence in nine countries. The organization is also adding to its 23 clinics in Ghana and helping implement the country's first electronic medical record as well as increasing its presence in China. Sanford is also working with Hermitage Medical Clinic in Dublin to establish a clinical research office that extends precision oncology services. In South Africa, Sanford is supporting the ongoing development of clinical research and education programs in fetal alcohol spectrum disorders at Stellenbosch University. In March, President Donald Trump announced through Twitter that Shulkin was leaving his top post at the Department of Veterans Affairs. Just a few months prior, Shulkin had come under fire after an Office of Inspector General report found he had improperly accepted Wimbledon tickets and his staff had doctored emails to justify his wife traveling to Europe with him at taxpayer expense. Another OIG report detailed poor treatment of patients in VA health clinics due to lack of proper equipment. When the report came out, Shulkin announced a sweeping overhaul of medical center personnel, including two service network directors. However, many insiders believe it was Shulkin's stance on privatization of the VA services that led to his departure from the agency. 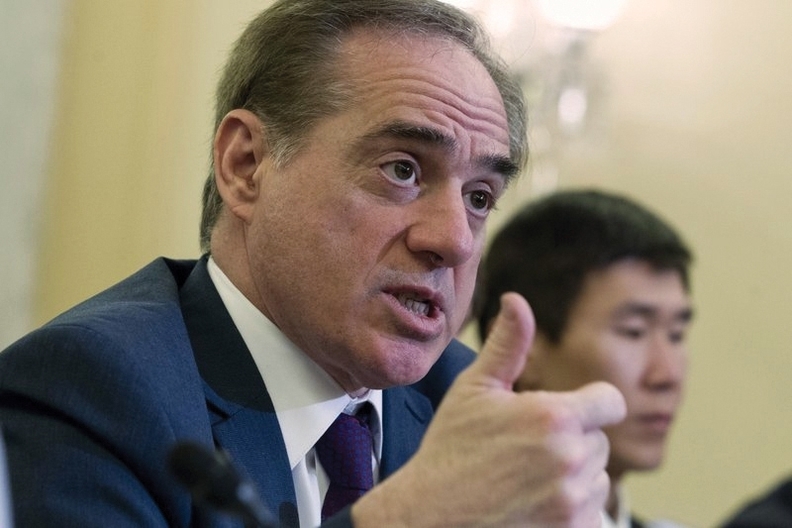 Shulkin oversaw efforts to renew and revamp the VA Choice program. Under that effort, veterans are allowed to see a private provider if they live too far away from a VA medical center or who would have to wait more than 30 days before they can get an appointment. That program came under fire just last week after the VA's OIG released a report that two health care contractors running the federal initiative collected more than $101 million in overpayments between 2016 and 2017.